The sweet peas are still in gorgeous bloom, but I'm already thinking about what should climb the fence next. Today's happy moment? 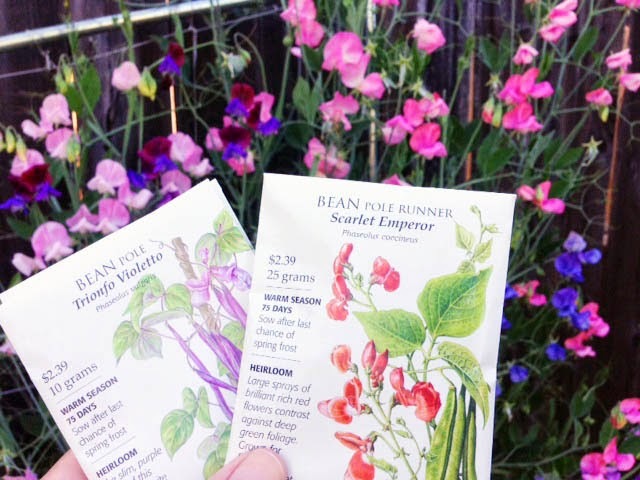 Finding Scarlet Runner beans and violet pole beans at the nursery. These along with my typical Kentucky Blues should make a great harvest come August and will cover the front yard fence nicely.